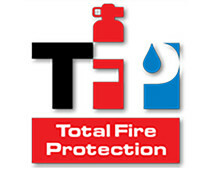 Total Fire Protection has performed fire and life safety services for numerous corporate and government clients across the US for over 15 years. Our professional technicians have decades of experience keeping facilities of all types and sizes up to code and ensuring that tenants are kept safe. Our fire & life safety professionals will help keep you up to date on the latest National Fire Protection Association (NFPA) code, OSHA regulations, and local laws so that you will never be caught unprepared for an inspection by the fire department or a fire marshal. Contact us today for more information!